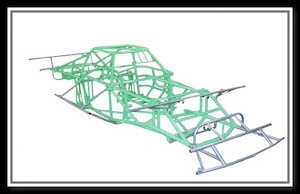 Bare Chassis with bumpers, RH Door bar, Front and Rear supports. Powder Coated Chassis complete with Tub, Deck, and Aero Cowl. 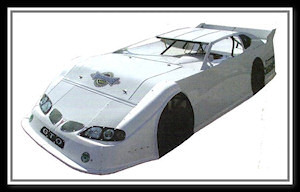 Includes Bumpers, RH Door Bar, and Front & Rear Supports. 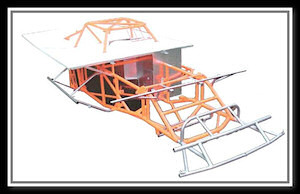 Powder Coated Chassis with complete body and interior. Includes Bumpers, RH Door Bar, and Front & Rear Supports. Complete Roller includes: Stage III w/ kits 1-12 assembled w/ hard brake lines.